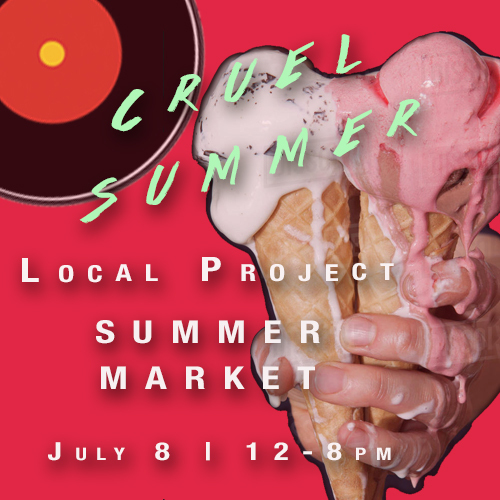 Looking for artists and artisans to sell original hand-made or designed objects at our Cruel Summer Market that will take place on Sunday, July 8, 2018 from 12pm- 8pm at 11-27 44th RD. LIC, NY. – Vendor is responsible for the transportation in and out on time provided. – Sell original art, handmade or designed objects by you. Local Projects takes no commission on any sales unless otherwise. -Help provide an audience but vendors are encouraged to help spread the word.